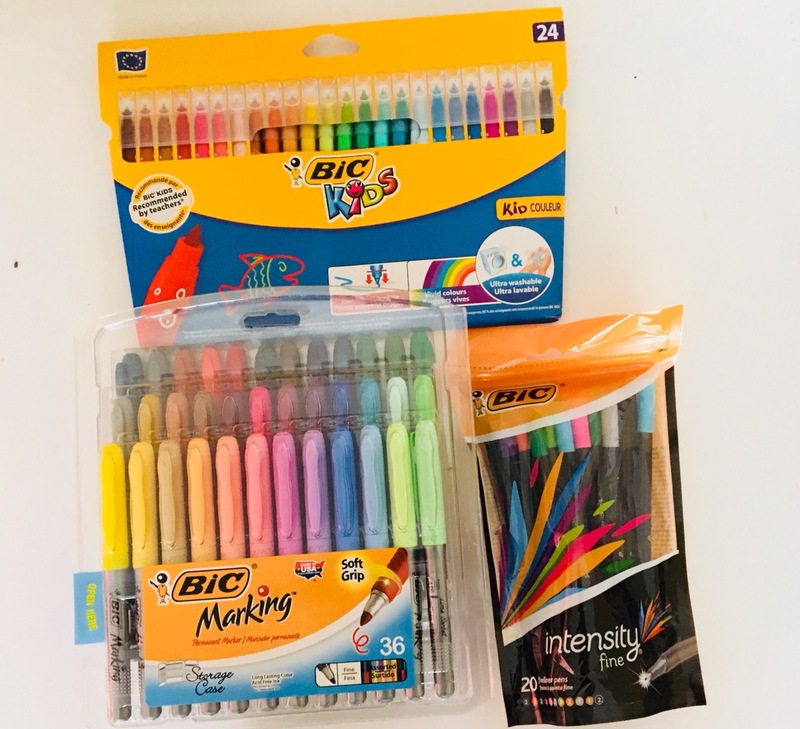 Bic stationery have lots of inexpensive items that could be used as stocking fillers and small gifts this Christmas, as well as stocking up for the return to school in January. These two packs of coloured pencils are both very different. The Bic Kids pack are made super solid with kids in mind. Easier to sharpen and no splinters, should they ever split. A perfect addition to any youngsters stocking. The Conti coloured pencils double up as conventional pencils and watercolours. The watercolour effect is done by dipping the pencils in water. It gives a totally different effect when wet. These are probably more suited to older children, teens and artists. Bic have pens and products to suit all ages and all occasions, such as school, college, work etc. In this picture I have 3 packs of different types of coloured pens. 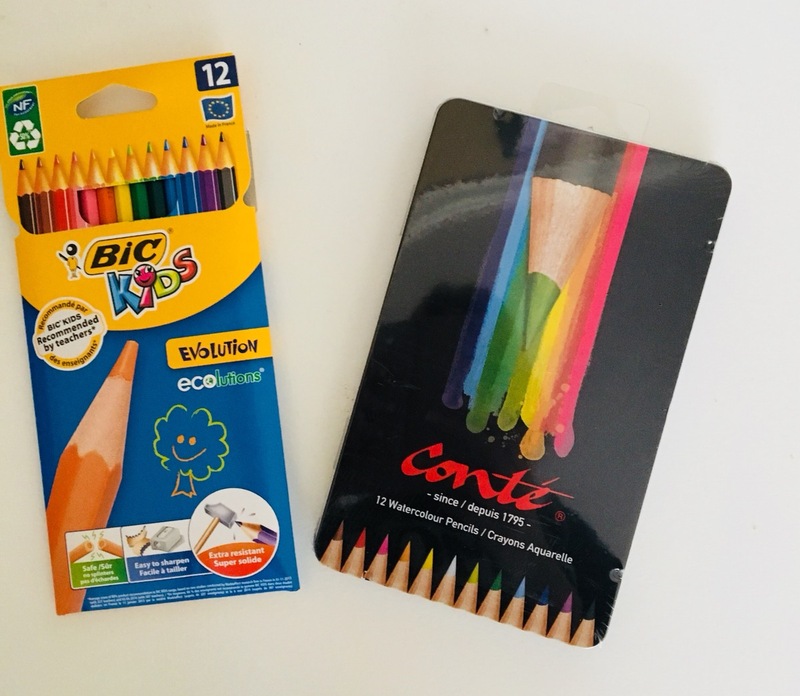 Again beginning with the Bic Kids (kid couleur) pack. This contains 24 coloured block tip pens for colouring and writing. They are easy to wash off skin, clothes and furnishings. Combine them with a Christmas colouring book for an inexpensive small gift. Bic intensity fine 20 pack, gives us 20 coloured fine liner pens. These are great for writing with as well as underlining and outlines. Finally a huge pack of Bic permanent markers. It’s probably not a good idea to give these to young children unless you want to be redecorating in the new year. Permanent usually means just that and therefore very tough to remove if not impossible. These 36 coloured markers don’t just work on paper but on just about anything else – glass, plastic, foil, metal, wood, coated papers and even oily surfaces. Teenagers who enjoy lots of crafting and know how to look after markers like these would be the better recipients. Bic products can be found in many supermarkets and all stationery stores. See more at Bic world UK.